The promotional fares are non-refundable in case of cancellation, GoAir stated on its website. The GoAir promotional sale is open till June 15. Budget carrier GoAir on Tuesday announced "Pre-monsoon" sale offering tickets as low as Rs 899 on select domestic routes. The GoAir promotional sale is open till June 15 for a travel period between July 1 and September 30. The airline, however, did not specify the number of seats under the offer. These promotional fares are non-refundable in case of cancellation, GoAir stated on its website. The limited-period offer is available on a first-come-first-served basis. Recently, GoAir launched an additional flight service between New Delhi and Patna as part of its route network expansion plans. 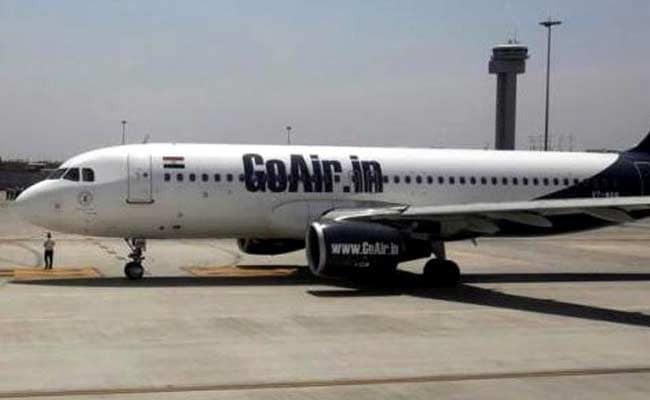 The launch of this additional daily service between Patna and New Delhi aims at strengthening GoAir's extensive network of flights to Patna, the airline said. This additional flight will benefit the large number of passengers travelling from Patna to New Delhi and further bolster the airlines already extensive network, it added. The Wadia Group-owned airline currently operates across 23 destinations with over 975 weekly flights with a fleet of Airbus A320 family planes, including Airbus A320Neo. Meanwhile, other carriers like IndiGo and Vistara are also offering low-fare schemes. Fares under IndiGo's "All Time Low" scheme,which is valid till June 14, also start from Rs 899 while Vistara's "Great Monsoon Sale" starting at Rs 849 is valid till June 17. Discounted fares from airlines amid growing competition have spurred a strong growth in air travel in India. The number of passengers carried by domestic airlines during January-April 2017 was at 364 lakh as against 309.35 lakh during the corresponding period of previous year, registering a growth of 17.71 per cent, according to data from Directorate General of Civil Aviation.